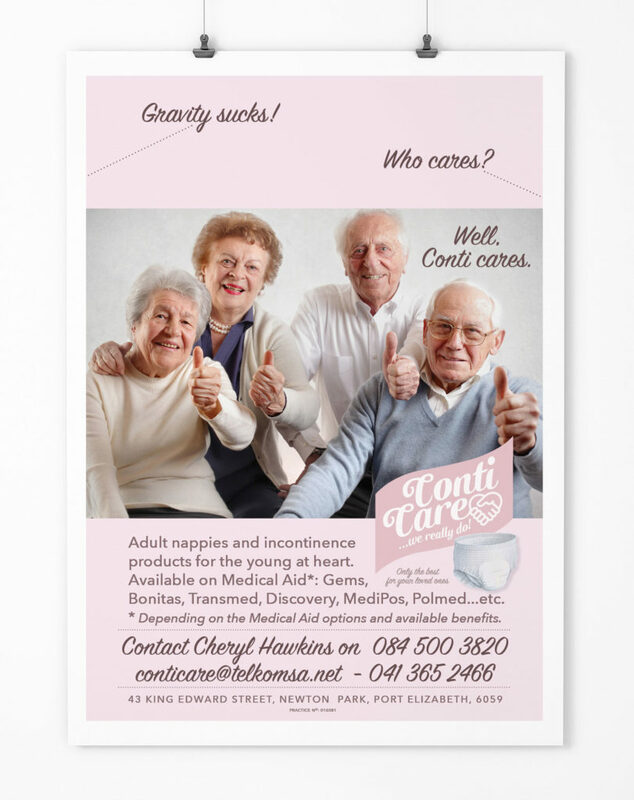 A light-hearted approach for a sensitive medical issue and product. 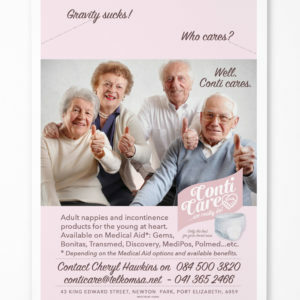 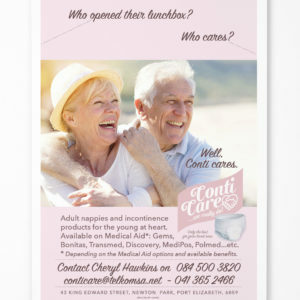 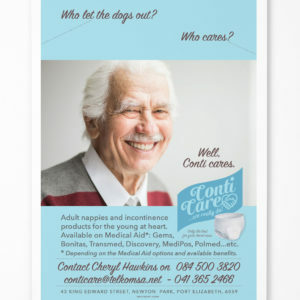 Adult diapers for those suffering with incontinence. 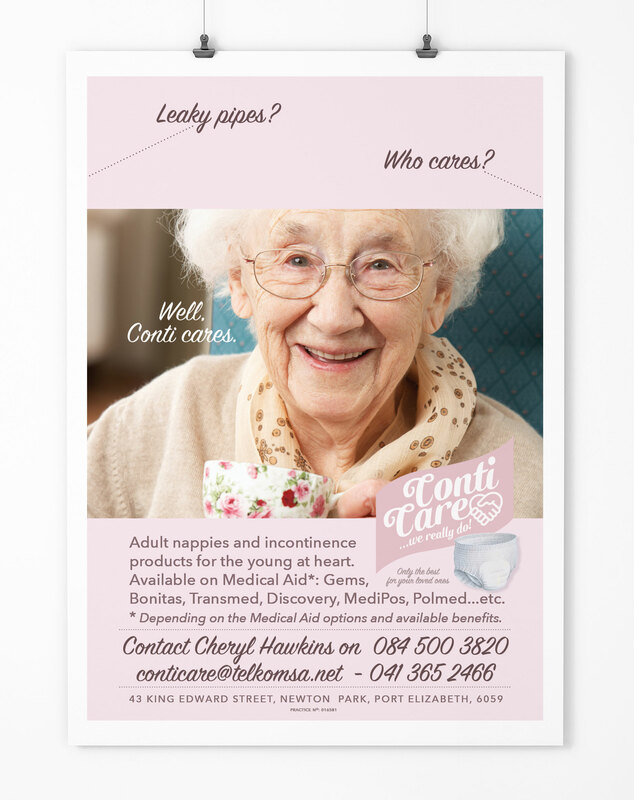 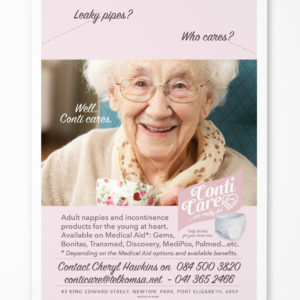 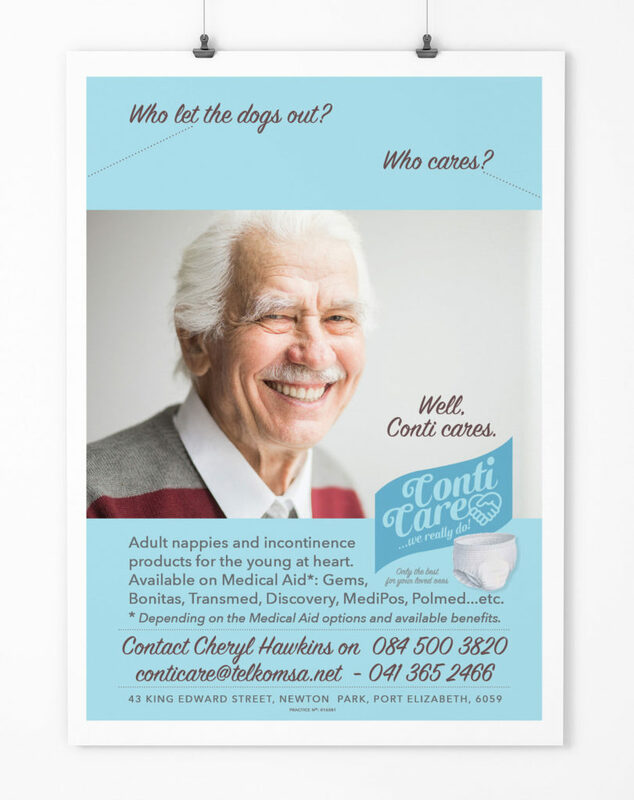 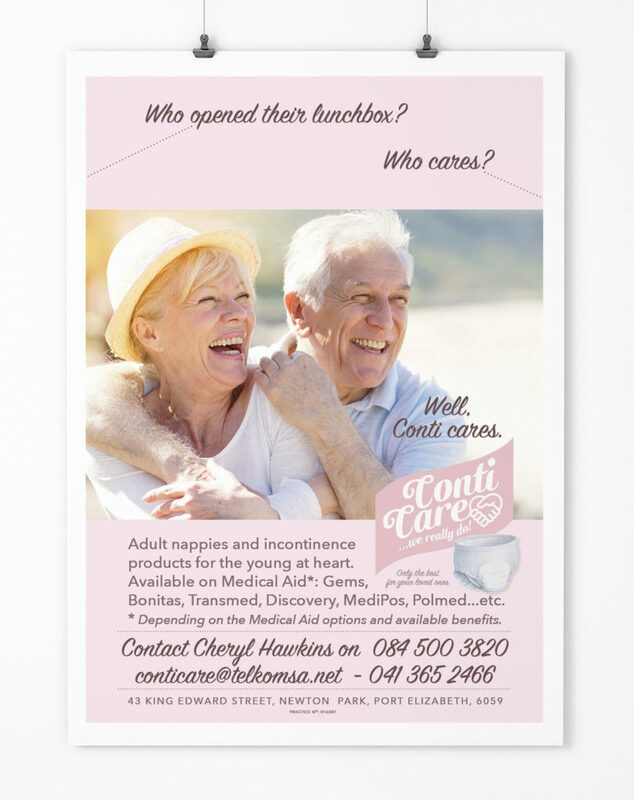 These posters appear in frail care centres, hospitals and medi-clinics, pharmacies and doctors consulting rooms.